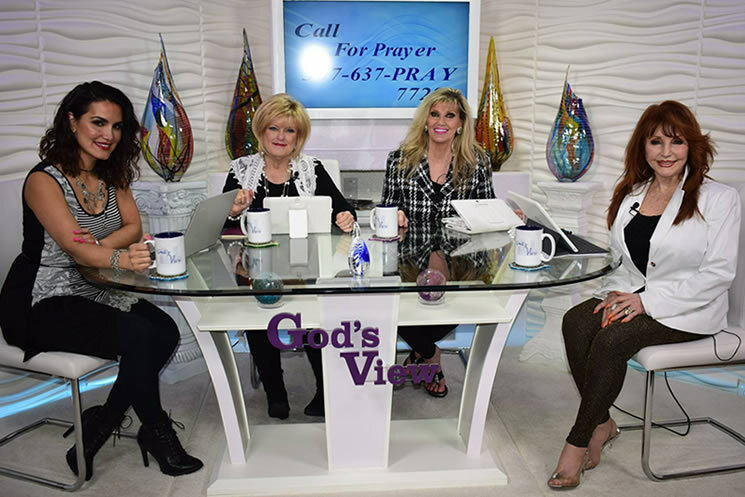 God spoke to Charlene Baktamarian through a vision and word for God’s View TV Show and how it would look and what women of God to bring on as Co Host. He was very clear about the name being called God's View.... which has been a primary focus of much of what the station puts its time into because of the great response of people’s lives being changed with confirmation through the 24 hour prayer lines. God's View is dedicated to speaking the truth in love to bring salvation, deliverance, restoration,and healing to the Body of Christ. It is an International traveling ministry bringing fresh fire of revival to the hearts of God's people. Our host are, left to right, Priscilla Pruitt, Special Guest Host, Charlene Baktarmarian, and Lana Garner-Wildey. You can read more about these Godly women on their website.